This series of albums uses the principles of binaural beat technology and musical entrainment; where albums are specifically selected to match rhythms to clinical outcomes, such as self-regulation, bilateral motor coordination, oculomotor functioning, reflex integration, attention, and focus. Due to the practical implementation and immediate effect of these albums, they are easily utilised in a variety of environments. Quickshifts can effectively be used in treatment sessions, home programs, school setting, or as a support prior to times of increased anxiety, such as during transitions. Even more, you will learn how to solidify changes through treatment strategies that activate movement and the power of the core (posture/breath). Come learn how to develop precise and strategic intervention techniques for the clinic, home, and school. • Understand the principles of musical entrainment and how to match rhythms to clinical picture and goals. • Identify three functional areas that can be addressed through the use of Quickshift and Gearshifter albums. • Understand how Gearshifter and Quickshift albums improve bilateral coordination, visual and auditory perception, oculomotor skills, core development, and timing and sequencing. • Be able to select appropriate Quickshift albums and treatment plan to support a client’s clinical picture, goals, and functional outcome. Note: There are is no parking available at the event. 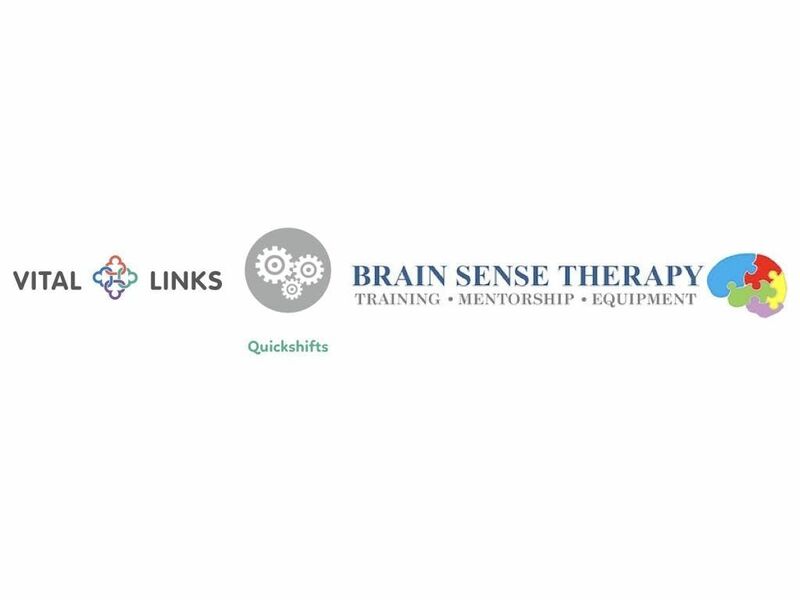 Email any queries to info | BrainSenseTherapy ! com and please allow up to 1 - 2 days for reply. • More than 14 days' notice - Provided you let us know a minimum of 14 full days before the day of the event, you will be refunded 100 percent of the course price. • Between 14 and 7 days' notice - If you let us know between 28 and 7 full days before the day of the event, you will be refunded 50 percent of the course price. • Less than 7 days' notice - If you let us know less than 7 full days before the day of the event, we will not be able to offer you any refund. In cases where a refund is not possible, or where only a partial refund is possible, you may opt instead to send a friend in your place for no additional charge. Cancellation may be necessary in exceptional circumstances and Brain Sense Therapy reserves the right in its absolute discretion to cancel an event. If this occurs you will be offered a full and prompt refund of all monies you have paid. However, if cancellation of an event occurs, Brain Sense Therapy will not pay any compensation, nor be responsible for any costs or expenses incurred by you as a result.